Since 2003, Healy Consultants Group PLC has assisted our Clients with business registration in Colombia. Our services include i) Colombia business registration ii) government license registration iii) Colombia corporate bank account opening services iv) employee recruitment v) visa strategies for foreign employees and vi) Colombia office rental solutions. 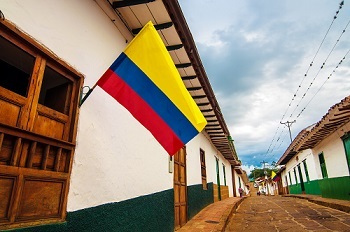 Colombia has an extensive financial system consisting of highly sophisticated institutions including the commercial banks, dominating the economy. In 2009-2011, the Colombian government carried out a Financial market resilience and capital market development which i) changed the traditional banking structure of the economy, ii) enabled its economy to recover financially and iii) alleviated poverty. Colombia has been poorly ranked in the 96th position (out of 180 countries) in the Corruption Perceptions Index 2017. This is largely due to a fall in its government efficiency along with numerous cases of corruption that are currently under investigation. To help us engineer the optimum Colombia corporate structure, please complete the 3-minute questionnaire below; then press the submit button below.